boardoffun | Slanted and enchanted views on arts and culture. Ross Palmer’s new single “Little Differences” b/w “Can You Explain” is available now from here as part of the Board of Fun Download Singles Club. It’s a breezy West Coast pop song recorded entirely by the multi-instrumentalist Ross. 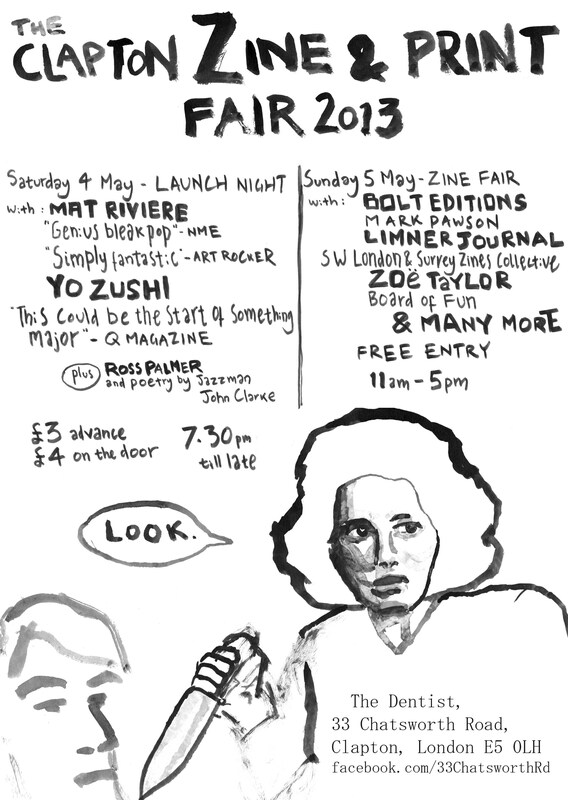 We launched it on Saturday 4 May, as part of Board of Fun’s Clapton Zine and Print Fair. The video was directed by me, Yo Zushi. Yo Zushi returns from a three-year hiatus with his new zine and album Smalltime. Hailed by Mary Anne Hobbs (BBC Radio 1) as “the spirit of Bob Dylan for the 21st century”, Zushi has released two albums on Pointy Records and a cassette on Italy’s Best Kept Secret Tape Label. Zushi will release three albums this year; Smalltime is the first.